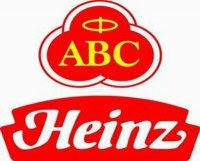 Heinz ABC Indonesia, subsidiary of US based global food giant, HJ Heinz Co Limited. HJ Heinz Co Limited is 140 years old with iconic global brands, including Heinz, Smart Ones, Ore-Ida, Boston Markets, Walties, ABC and many others. Our products delight consumer’s everyday and everywhere around the world and it is what makes Heinz a successful corporation.